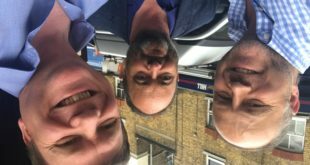 Ian Downes, Paul Bufton and Simon Gresswell will hike non-stop for 24 hours to raise money for mental health charity Mind. 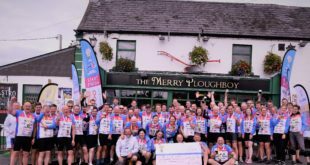 The challenge raised £200,000 – the largest ever total raised for the industry charity by a single event. 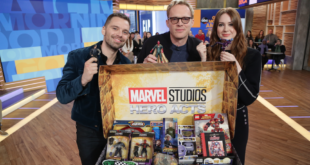 Stars of Marvel Studios’ Avengers: Infinity War team up for an epic charity event counting down to the launch of movie-related products on March 3rd. 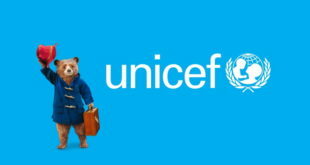 ‘We are hugely proud that UNICEF has chosen Paddington as a champion for its campaign to promote the rights of children,’ says Vivendi’s Simon Gillham. ‘Cotton Traders’ commitment to quality clothing and its strong retail reach, helps bring the Help for Heroes cause and message to a wide audience,’ says Help for Heroes’ Mandy Lloyd. 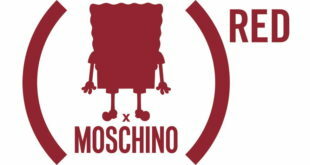 ‘We are proud to partner with Red to debut SpongeBob Red, and it is our hope that this collaboration can help shine more light on the need to fight against AIDS,’ says Nickelodeon’s Pam Kaufman. 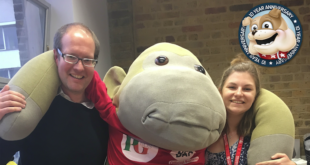 Ben Lowe, Jason Easy and Katie Bell finished their challenge during the 2017 London Marathon. The licensing industry will gather in Blackpool on March 23rd for a day of seaside fun followed by a bingo night in aid of the industry charity. 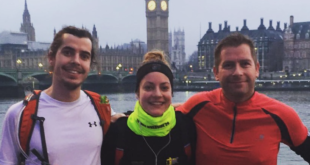 Jason Easy (BBC), Katie Ball (BBC) and Ben Lowe (Roy Lowe & Sons) aim to run along the Grand Union Canal, followed by the London Marathon. 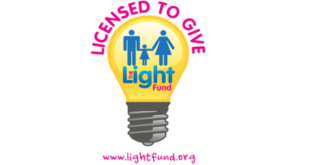 The charity has secured a function room in the Nickelodeon part of Blackpool's Pleasure Beach, where guests will be able to hold meetings and take advantage of all the rides.